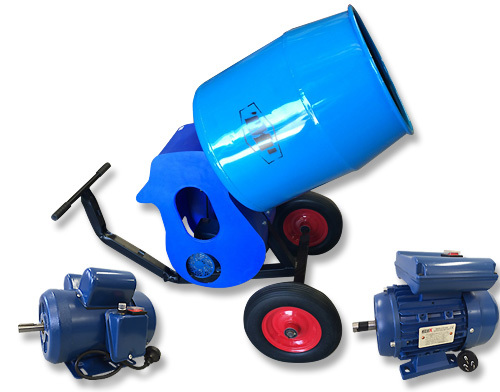 Cement Mixer Motors as original equipment to suit most makes, with other types available for many applications. Motors to replace Easymix, Westmix, TMP etc and all leading brands. All Cement Mixer Motors are supplied with switches and leads – ready to make you money. We also have pulleys available for the tough change over. Contact us for a dimension match and quotation.